Q. What if I am unsure about where to start? A. No problem! Please just view the video on the “Training Programs Page” or contact us with your questions! Q. What is the registration process? How do I apply for a program? A. Easy! Just fill out one of the two application forms. 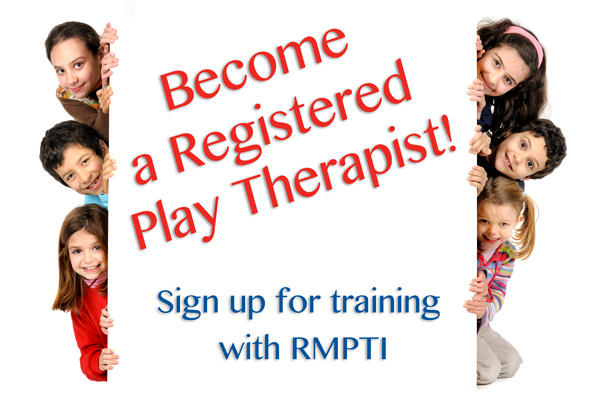 If you are intending on becoming registered/certified as a Play Therapist (you must be at a Master’s Degree level in a relevant Mental Health field) click here. If you are a counselor working with children and you would like to add therapeutic play skills to your practice resume click here for the Purple Stream. The forms are brief and notify RMPTI about your background experience and the training route you are applying for. RMPTI will respond within 48 hours. If we have any questions, we will openly address these, as we want to make sure you are entering a program/route that is right for you! Q. What are the program fees? What forms of payment do you accept? A.All fees are listed on the application forms. as well as with each program/route. RMPTI uses Paypal for most program registration costs. However, other forms of payment can be arranged for organizations and individuals. Q. Are the course fees inclusive of training materials? A. All participants receive electronic access to materials/handouts. However, there are the normal extra costs associated with these types of programs; recommended textbooks, travel and accommodation. Q. Can I pay my fees by installments? A. Yes! Your initial deposit secures your place in the training program. The balance of course fees are due 45 days prior to the beginning of the face-to-face section of the course. You can also make an entire payment for the course at the time of registration. Q. Can I claim course fees for income tax purposes? A. RMPTI programs are professional training programs. If you are a practitioner who typically claims for professional expenses, such as workshops, you should be eligible to claim for RMPTI training programs. As RMPTI is not a designated Institute of Higher Education, such as a University or College, expenses can’t be claimed as a student might typically claim for course/tuition fees. Q. How quickly do the programs fill up? Is there still space? A. We limit class sizes to ensure everyone receives a great learning experience. The summer institutes (Green & Red Stream Programs) are usually full by the beginning of March each year. RMPTI will keep a short waiting list for certain programs, provided you have paid a deposit fee. If a course is full, we will mark it as such on our training calendar. Q. I have been accepted into a program/route, what are the next steps? A. With your acceptance email, you will receive a link for making the initial deposit fee through Paypal. Your deposit secures a place in the program. Due to the specialized nature of our training programs, and small class sizes, we are unable to hold a spot without a deposit. You will also be sent a passcode for entering the training website, where you will begin the on-line program. Generally, we issue passcodes 45 days prior to beginning of the class. Q. Can I start the Green Stream- Foundations of Play Therapy Route and decide later to join the Red Stream? A. Yes! As you will receive a certificate of approved training hours when you complete the Green Stream, these hours do not expire. Simply apply/register for the Red Stream at a later point in time. However, as the Red Stream is designed to be a small cohort or group size, you will want to apply early to be sure there is space. Q. Do I have to be actively working with children, or in a play-based work setting to take the Green and Red Stream courses? A. Yes & No. Participants involved in the Green Stream do not need to be actively working in a child-focused setting, however you must have a Masters Degree (or be enrolled in a Master’s Degree) in a relevant mental health field. It is recommended that those participating in Red Stream program have previous experience or are currently working in a child-focused environment to complete the course/case assignment and to accumulate practice hours. Q. Can I take both the Green & Red Stream Programs during the same summer? A. RMPTI encourages participants to leave time between the Green and Red Streams, to begin practicing and integrating skills you have been developing. However, many participants, due to reasons of time away from work, travel, etc. choose to take both programs during the same summer. The choice is yours! Q. Do I need a degree to enroll in the Therapeutic Play Skills: Purple Stream Programs? A. No. Applicants should have some experience working with children and some post-secondary course work related to children. Q. Are there multiple entry points to training programs/routes during the year? A. Yes, please check the training calendar as there are multiple offerings throughout the year. The Green and Red Streams, are however, regularly offered each year during the summer as 9-day intensive programs in Calgary (Green Stream in July; Red Stream in August). We find that these are the times that most individuals are available to book 9-days for training. Please add your name to a wait list as RMPTI adds more programs on demand. Additionally, the Yellow Stream programs run at various times of the year, and RMPTI is often asked to offer the Green/Red Stream Programs nationally or internationally, at various times of the year. Please see our training calendar for current & upcoming dates. 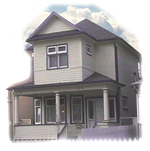 A. RMPTI is a training facility located in the downtown area of Calgary. There are many options for accommodations… see our accommodations list. Q. Do you offer food in the morning and during coffee breaks? A. We have a reputation for providing participants’ with ample food & refreshments. Most programs include a wide selection of breakfast foods, as well as snacks for coffee break. Our goal is to “feed you more than you can eat” – both intellectually and physically! With advance notice, we accommodate for special dietary requests. Q. How do I find out about upcoming training programs? A. The best way to keep up-to-date is to sign on to our mailing list at the bottom of this page. Q. Can I take some portions of programs on-line to reduce travel time and costs? Are class sizes small? A. Yes! 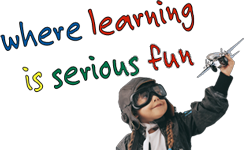 To meet training/certification standards, all classes are small (i.e., 15-45) and highly experiential. Many courses offer some level of non-contact hours of accredited training on-line. However, because we greatly value and use experiential learning methods, the balance of course time occurs through face-to-face contact. Q. Can I access supervision while I attend programs (or afterwards)? A. Yes! There are various supervision modalities available, including telephone/distance and video/group supervision. Click here for supervision options. Q. What if I need support during the program? A. We are there to assist you! Please note that students may find it necessary to deal with personal issues as a result of experiential course work. While qualified on-site therapeutic resources are available should the need for support arise, RMPTI reserves the right to screen and/or re-direct candidates to other training/development opportunities should it appear that higher levels of support are required than those typically provided in a training program. In certain cases, participants may be asked to undertake therapy prior to program re-admission. Q. Are courses taught by experienced practitioners? A. Yes! The training faculty consists of experienced practitioners, each with a recognized area of specialization. All have supervisory and training experience in their field of expertise. Q. Does RMPTI offer the same courses elsewhere? How do I organize trainings with my organization?